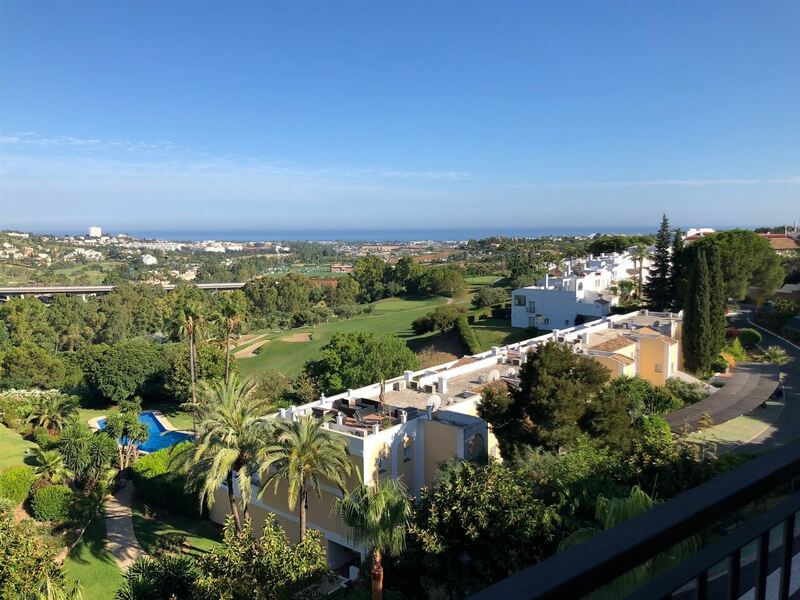 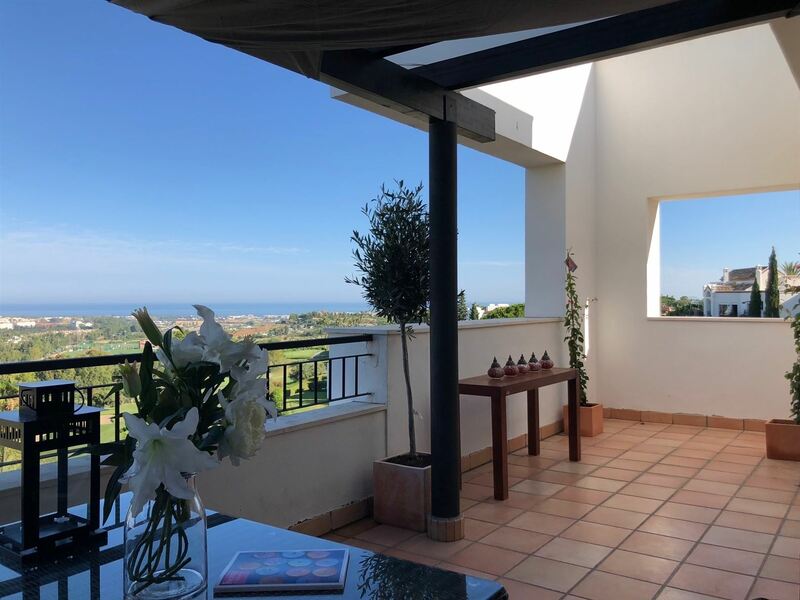 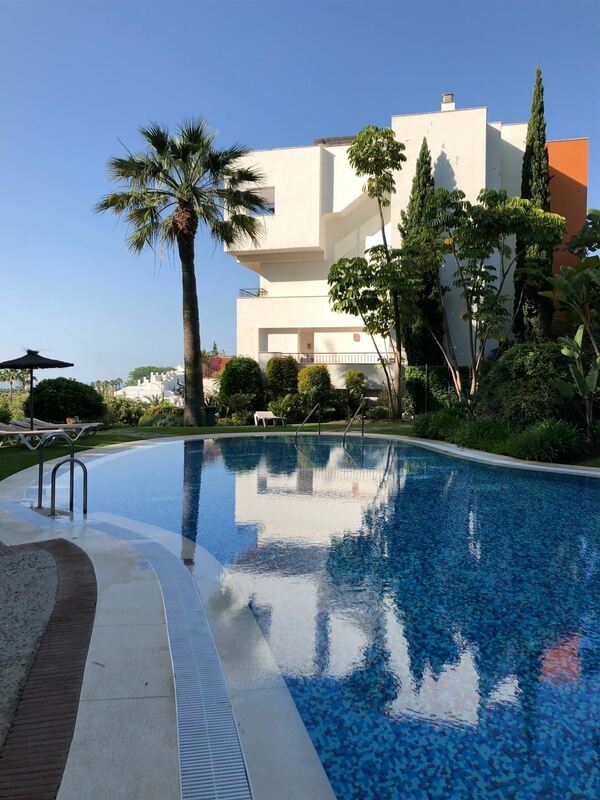 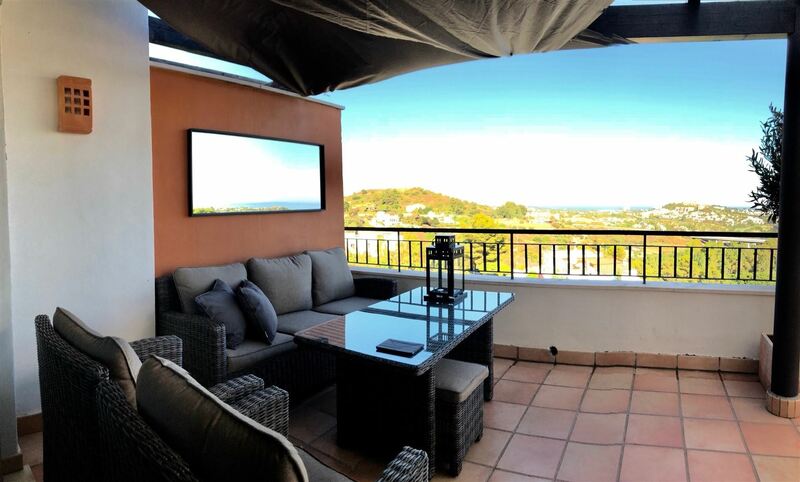 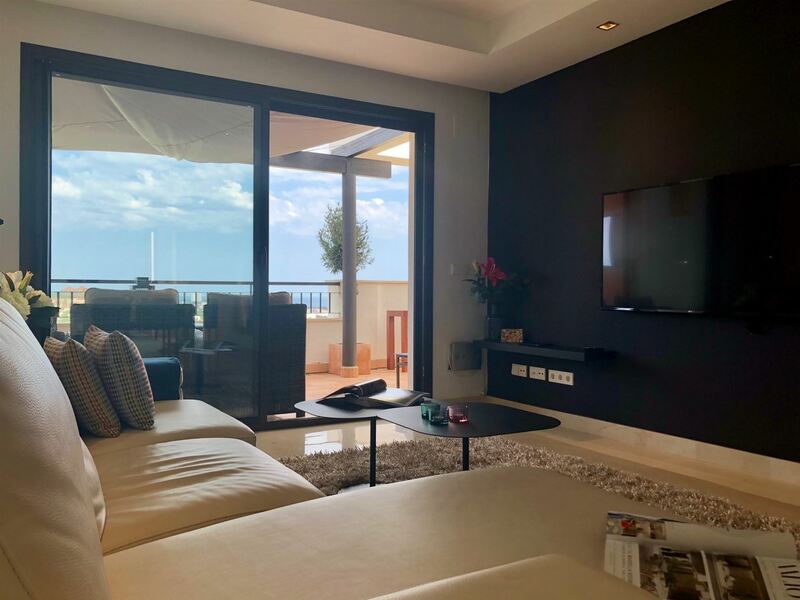 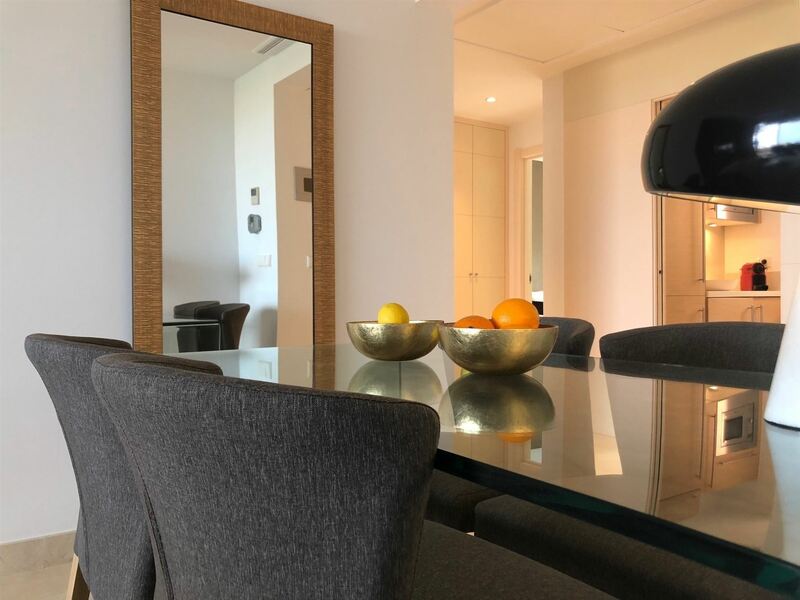 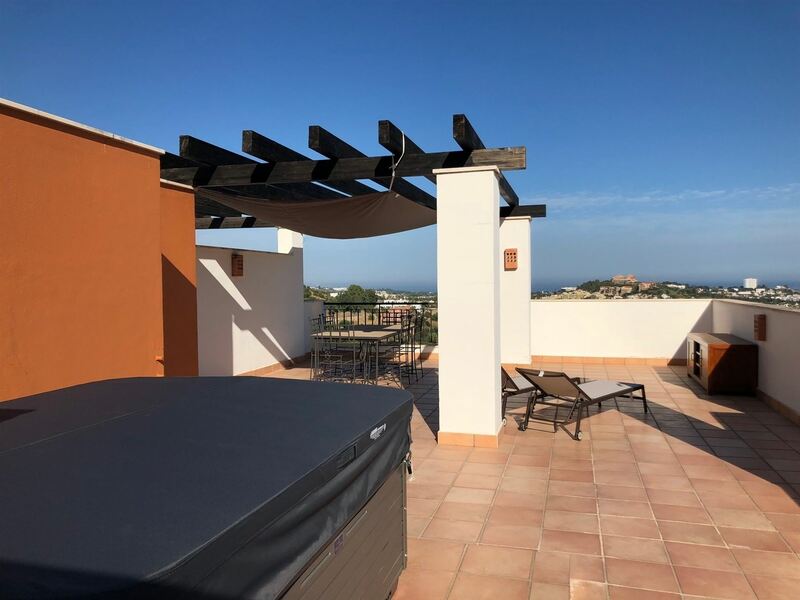 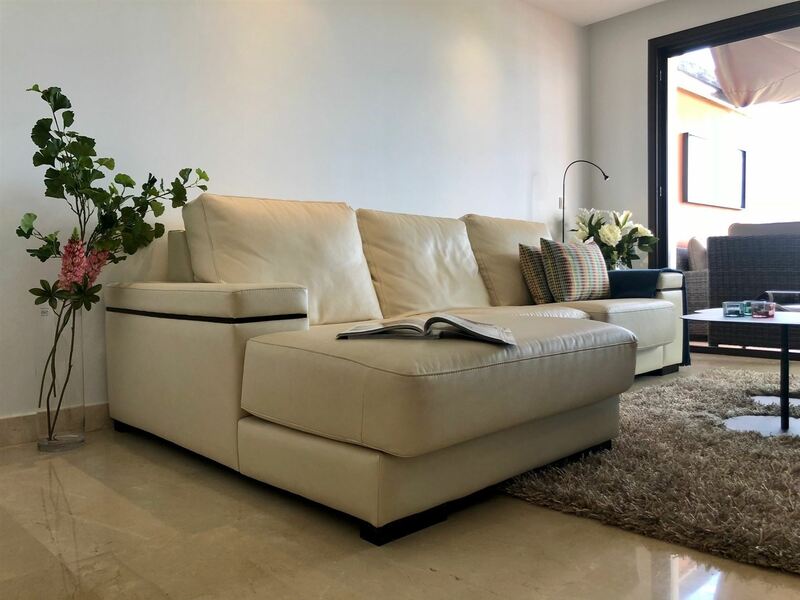 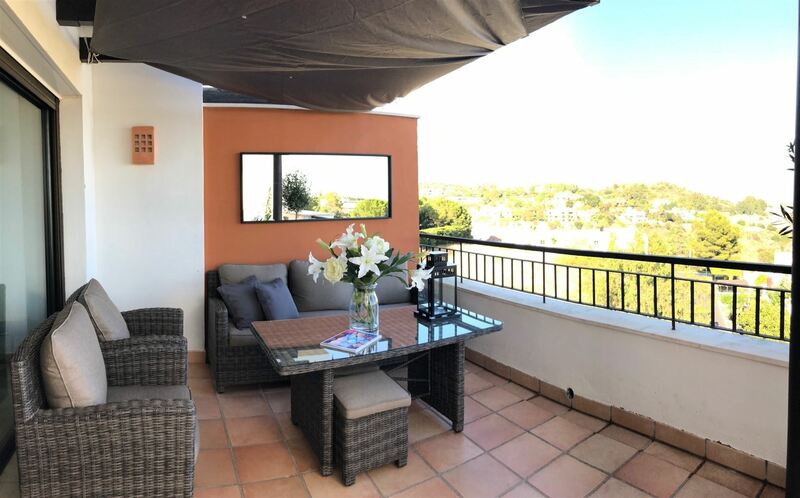 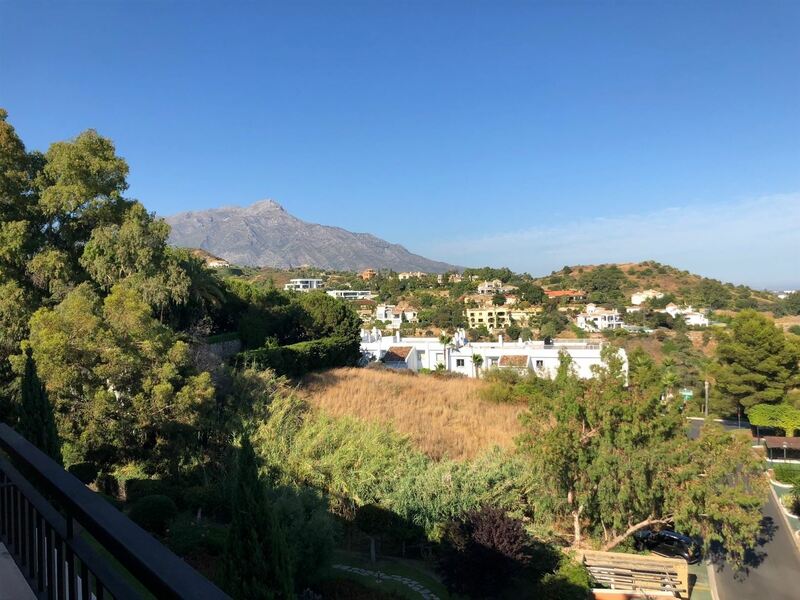 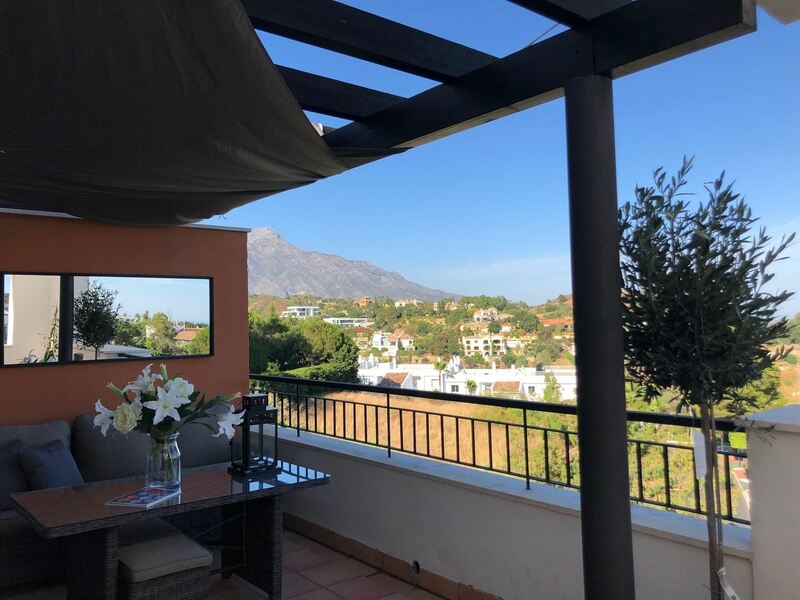 A contemporary style corner unit penthouse with amazing views to the Golf Valley, Mediterranean Sea and La Concha mountain, situated next to La Quinta Club House. 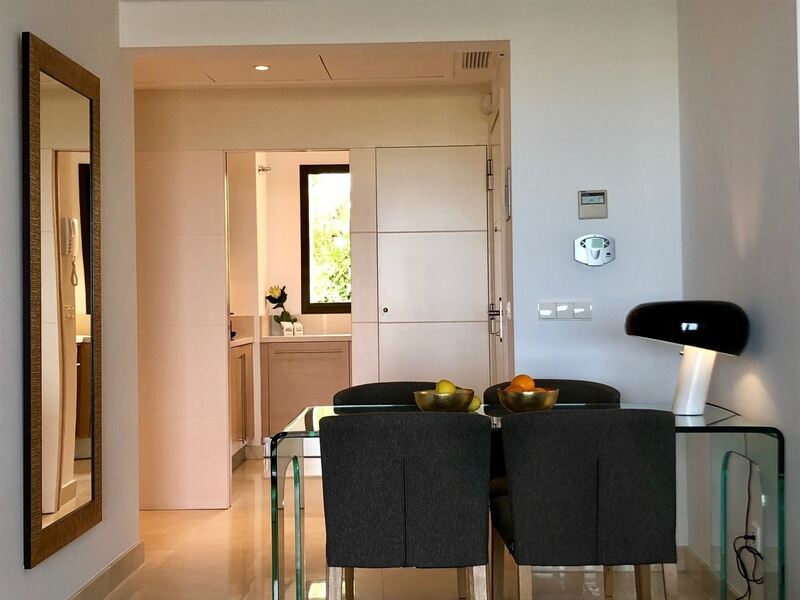 The apartment is built in one level and comprises two bedrooms, two bathrooms one ensuite, fully equipped Siemens kitchen, dining/living-room with access to the lovely terrace from the living-room terrace you lead to the private solarium with a Jacuzzi for 4 people and a spacious area to enjoy the climate, and the magnificent location that this property has in the Costa del Sol. 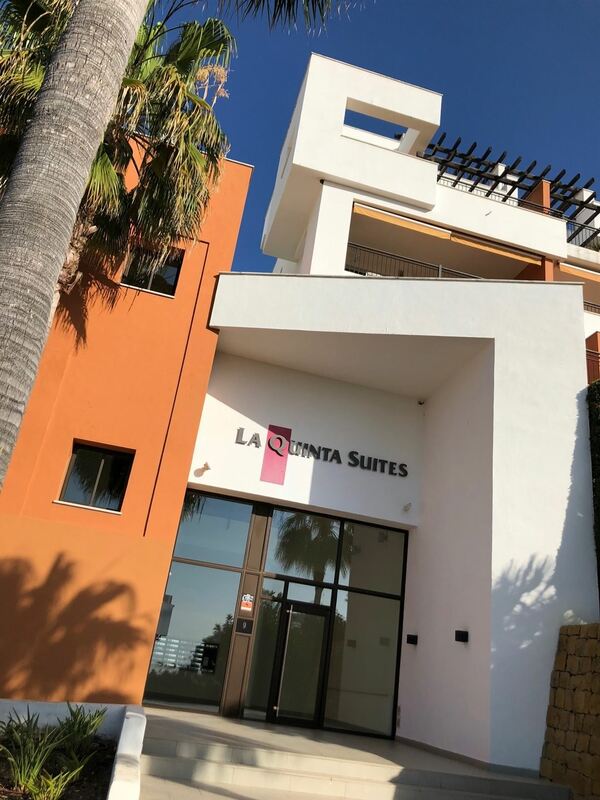 The Quinta Suites consists of 48 apartments, it was built 2006, with the best finishes of modern and comfortable style. 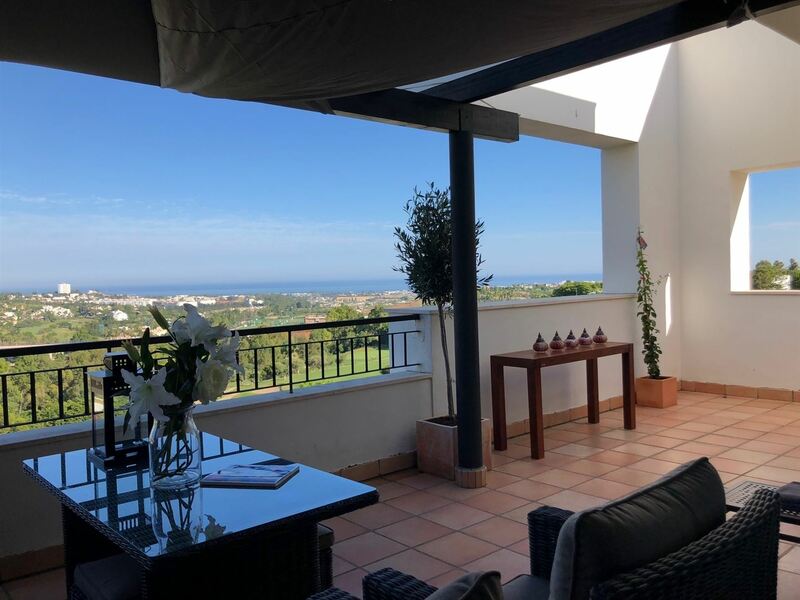 This designed top floor apartment is just five minutes walking distance from the Clubhouse. 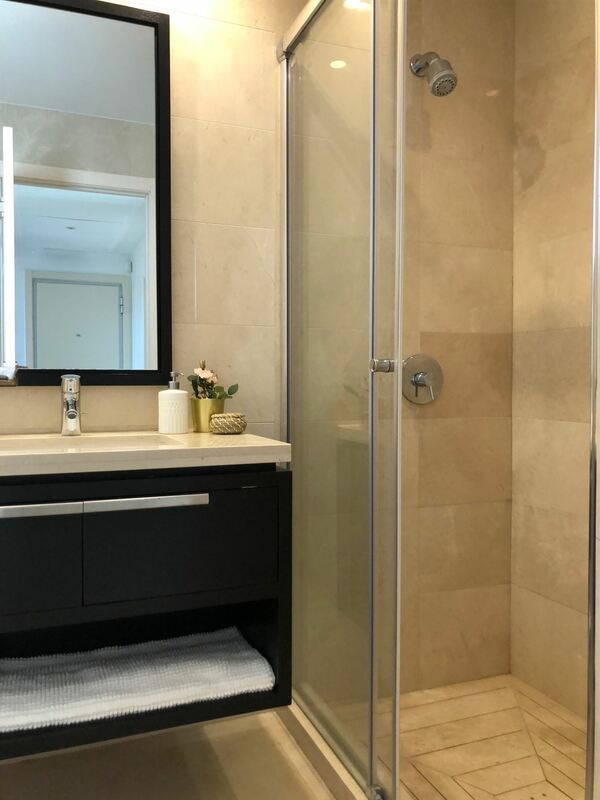 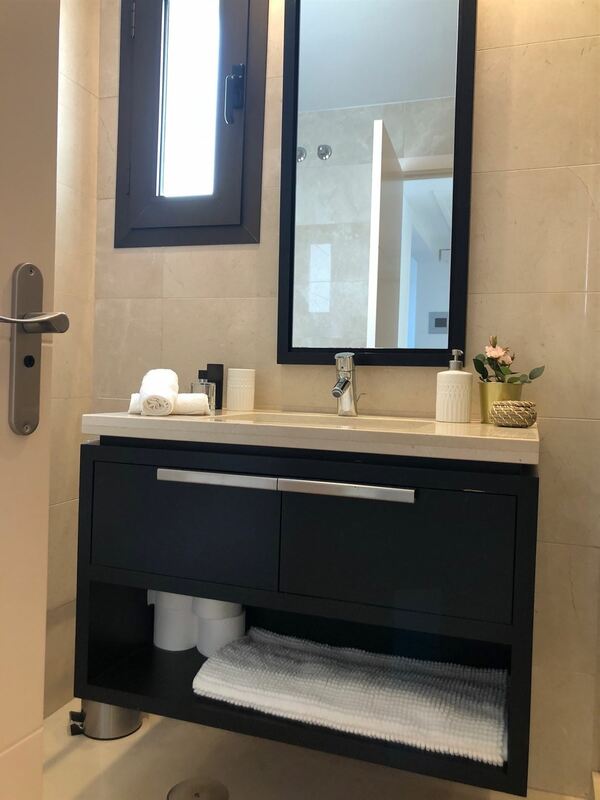 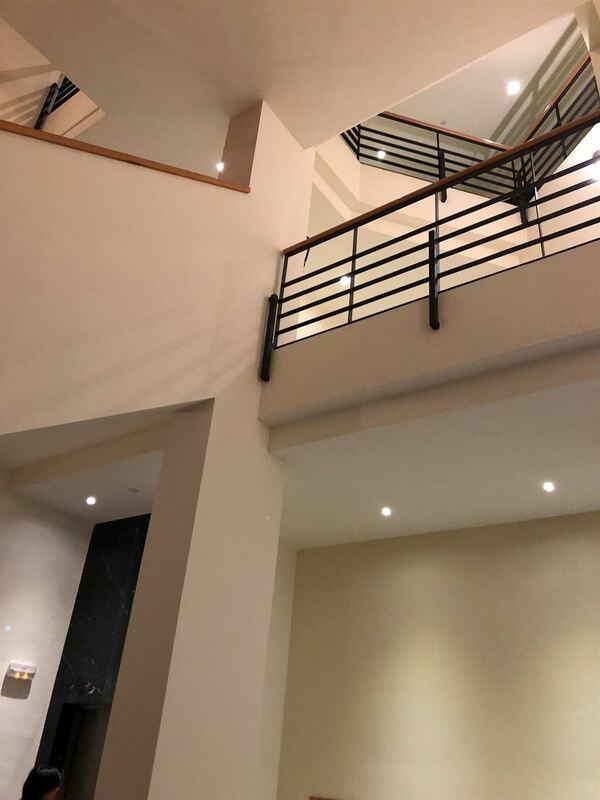 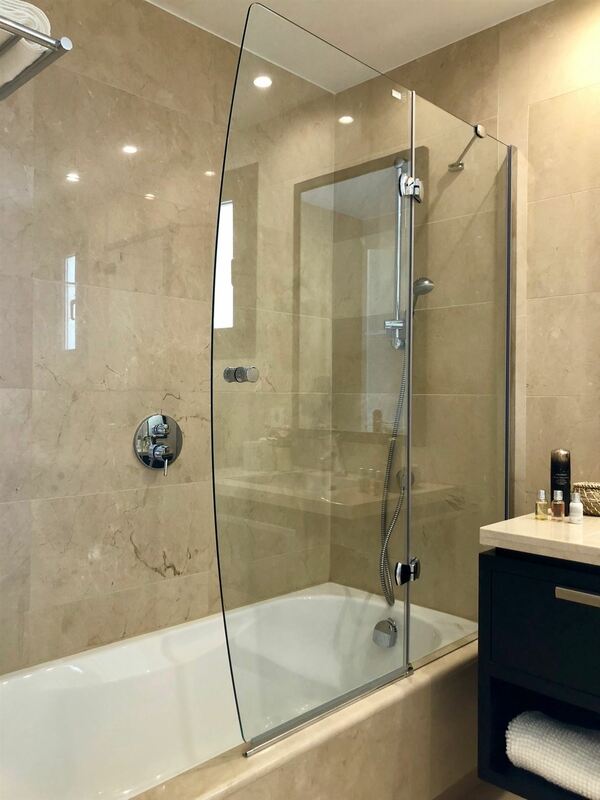 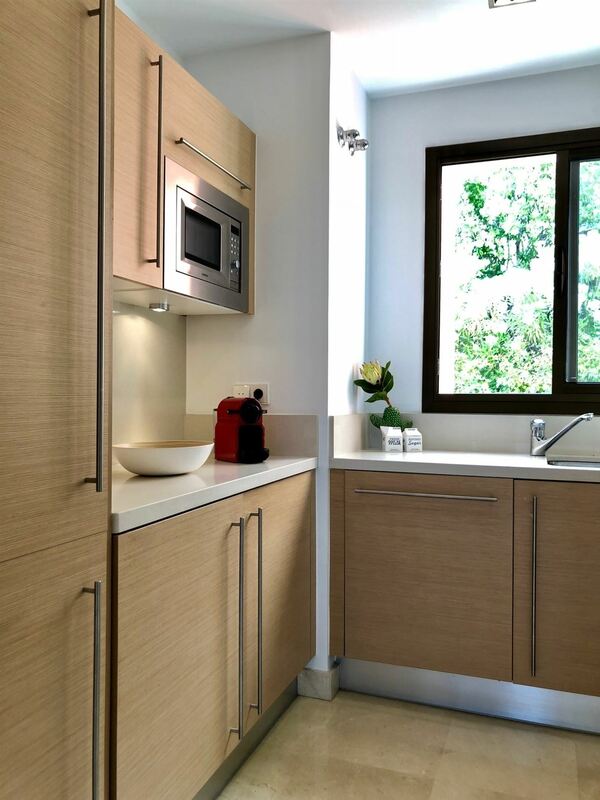 Built and designed to the highest quality standards, this property features, home intelligence system with water leak prevention in wet rooms, warm/cool air conditioning, halogen lights, alarm, safe, smoke detector and fully fitted wardrobes. 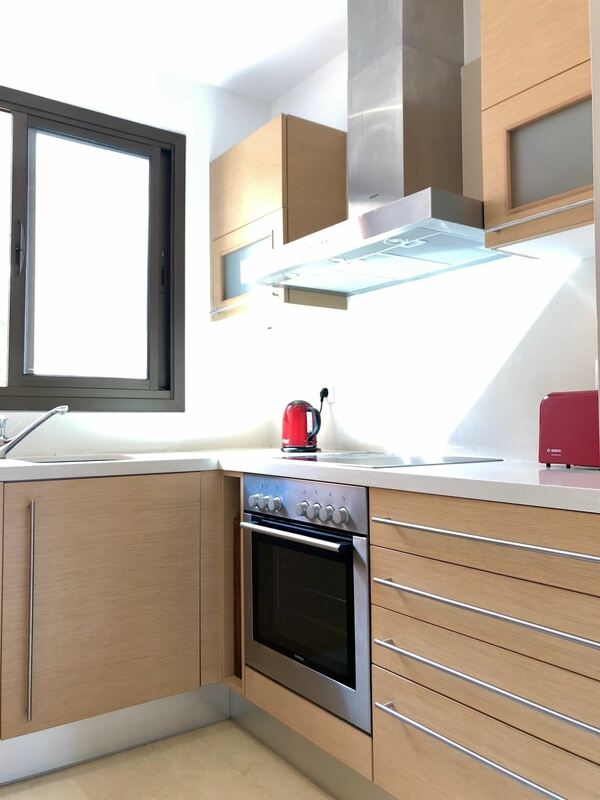 One parking space in garage and a storage room included in the price. 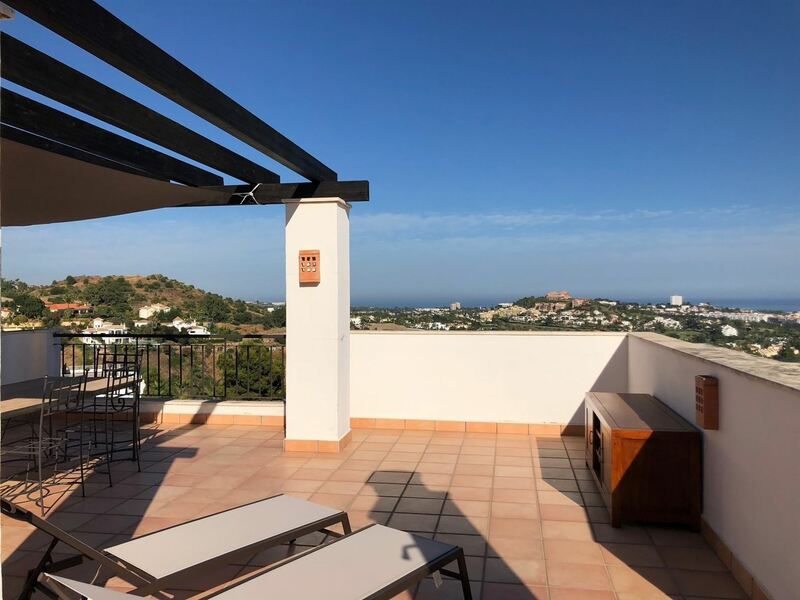 From the terrace and the solarium you have fantastic views to the sea, golf and mountain. 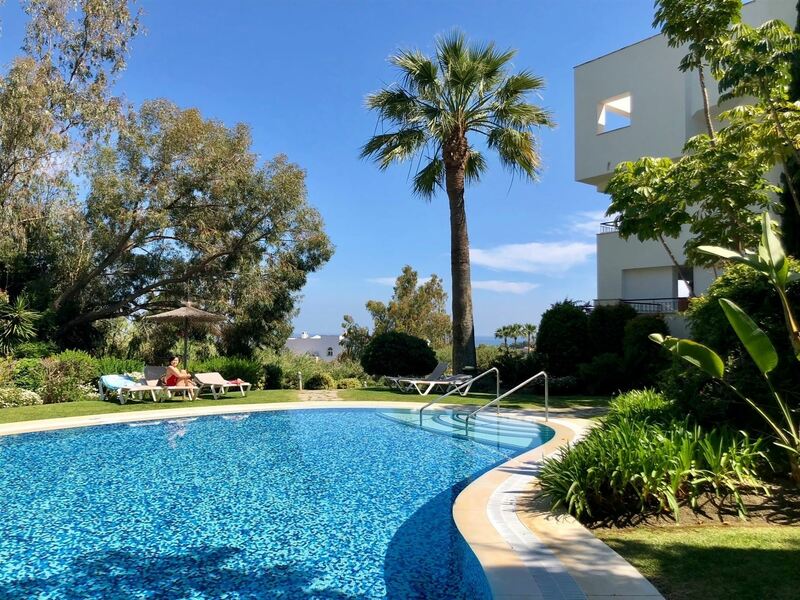 The complex consists of just 48 apartments and features beautiful lush communal gardens and swimming pool. 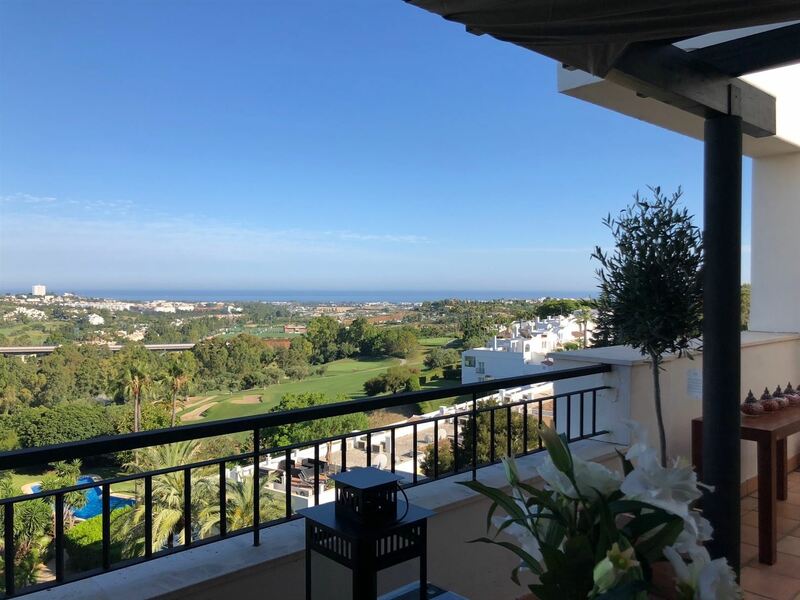 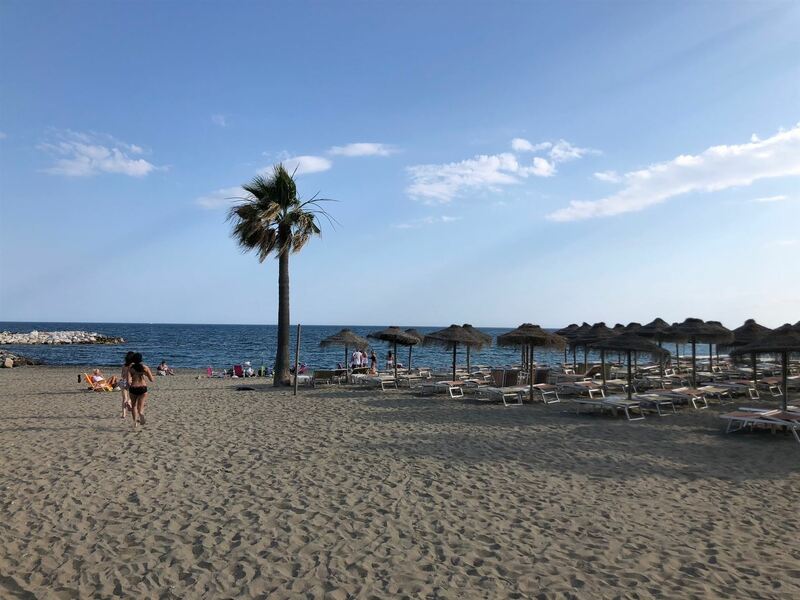 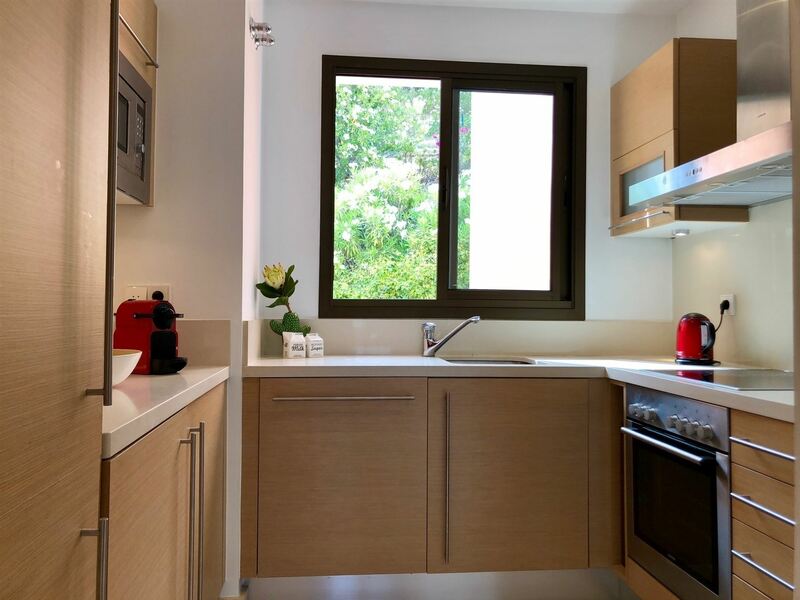 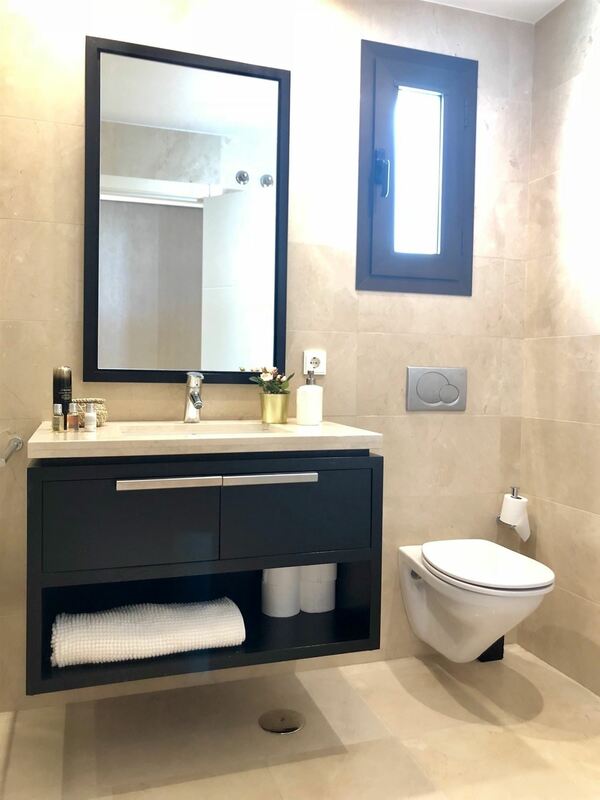 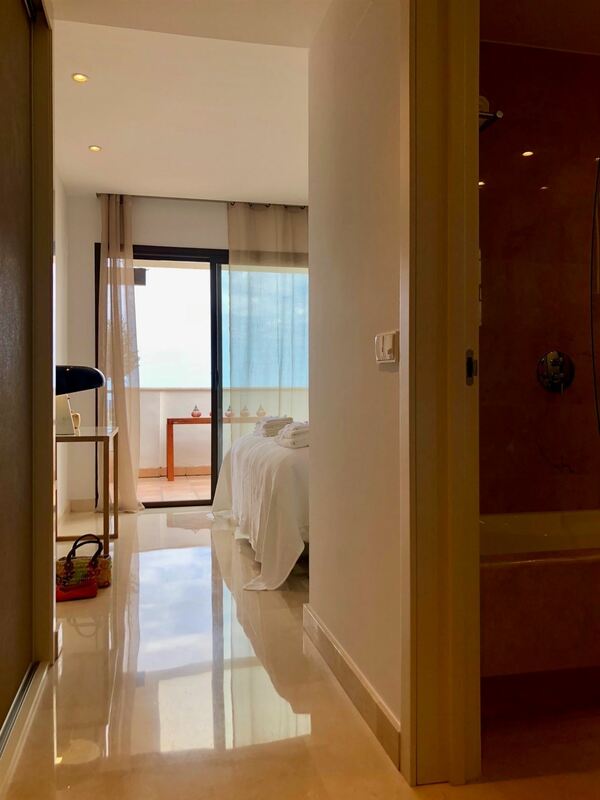 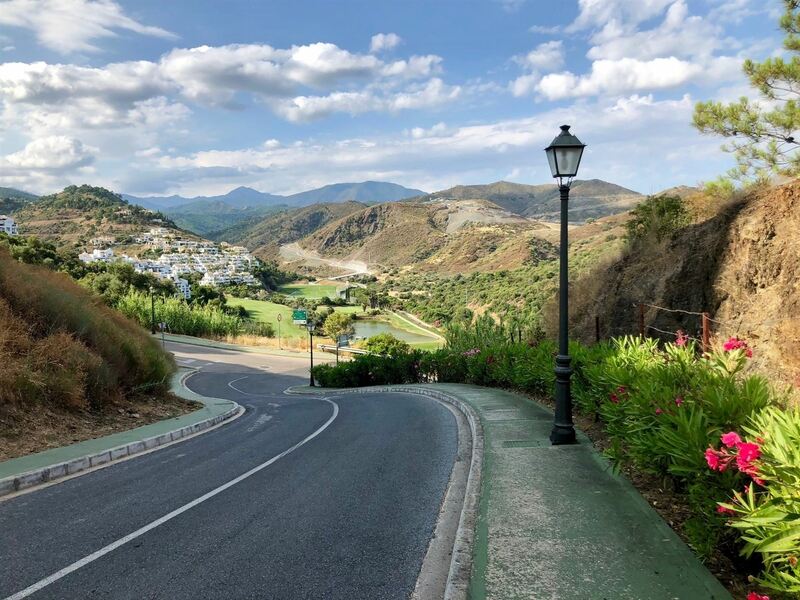 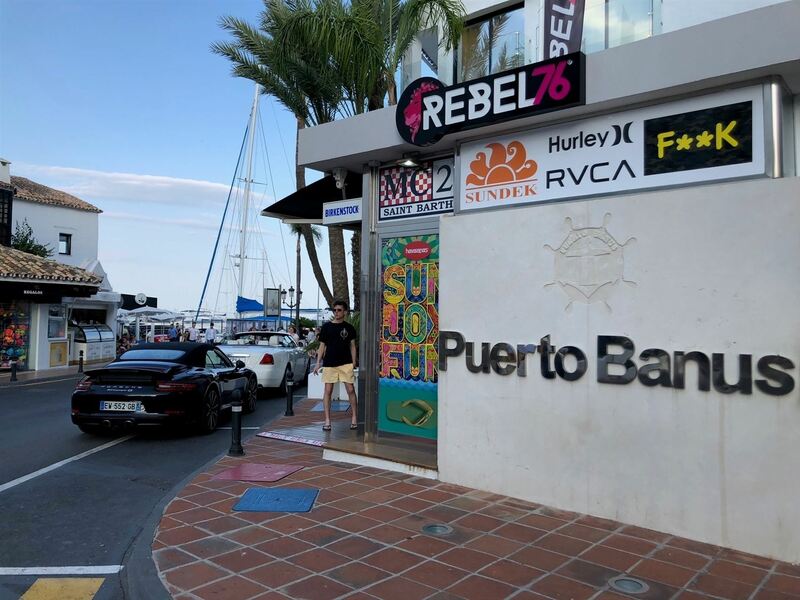 Five minutes walking distance from the Club House and five minutes driving to the heart of the Golf Valley, 10 minutes from Puerto Banús, with easy access to the toll road.